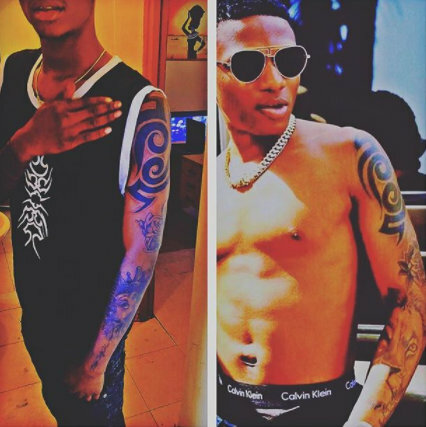 That Wizkid has alot of fans that are willing to do anything for him is not in doubt. Some dress like him and know all his songs by heart. 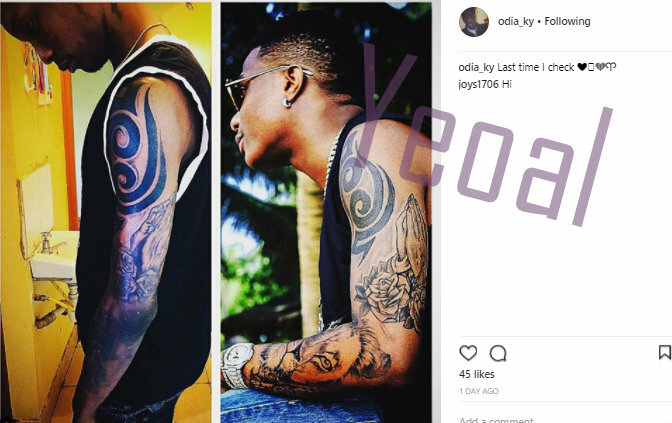 This fan, Odia, however took the term celebrity admiration to a whole new level when he got an identical tatt to the musician on his arm. 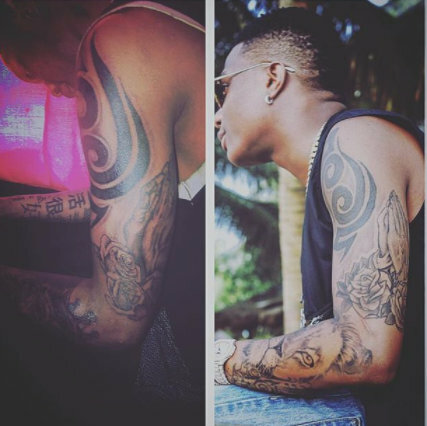 Check out more pics of him flexing the arm tatts side by side the musician's pic....and oh, he merged all the pics here, himself. Talk about die hard fan😆😆.